It worries me sometimes that people don't know what voltage their cab is outputting. They may have tested it at one point either without load (no pcb inserted) or with a PCB in, and it works, and then thought 'that's it'. The problem is that different PCB's have different power requirements. I'm not taking about whether they need -5v or not but the current the PCB draws from the PSU, and how that current effects the 5v level the PSU outputs; basically The more current a board requires the more it will reduce the voltage level the PSU supplies, meaning you need to increase the 5v adjustment pot to compensate. For example; I've got a St. Dragon bootleg. It's a large 2-layer PCB and requires a lot of power; on my test rig it needs 5v almost at maximum for the board to run. If I then remove that board the PSU outputs 5.9v with no load. 5.9v will kill a lot of chips - and I've seen PSU's that output a lot more than 5.9v with no load attached. If i then put in a board that requires a lot less power the voltage will decrease from being under load, but will decrease less than with the St. Dragon bootleg, and will probably be at a level that will damage or destroy chips, eg say 5.6 volts. 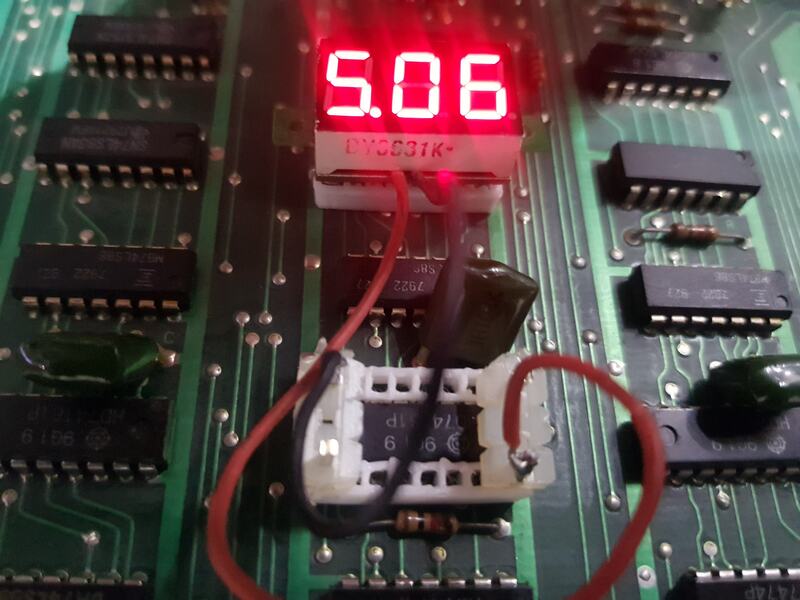 5.25 is commonly the maximum safe operating voltage for a lot of chips on arcade PCBs. My old solution was to turn the 5v right down after removing a board, then plug in a board and increase the 5v until the PCB ran correctly. 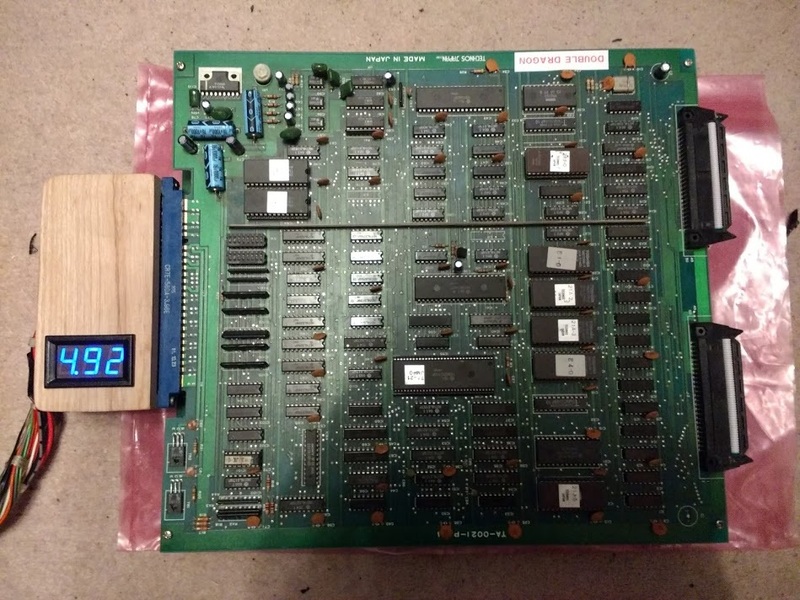 But i still didn't know the voltage, and other problems can occur using this method - I once had a PCB with a failing chip that caused the game to run incorrectly unless the voltage was adjusted to 5.35V. The game then ran correctly, but running the game as this voltage could be damaging other chips on the board. You can keep checking the voltage with a multimeter but this is a faff and ideally requires you to have three hands. A few years ago I discovered you could buy cheap (~£2) LED voltmeters off amazon or ebay. There are varying voltages they measure as well as different sizes and wiring options. I bought a couple of different types, the main difference being the either had 2 wires or 3 wires. The 3 wire versions measured 2.4v to 30v but required a 5v supply to work - they have a 'sense' IE voltage input connection, 5v supply and ground. The 2 wire versions can also measure 2.4v to 30v but use a combined 'sense' and supply voltage. Both versions work but the 3 wire versions tend to switch off at less than 4.5v - as I'm using the jamma psu's 5v supply to power them they do tend to switch off with the PSU turned right down. I've now installed these voltmeters on both my jamma cabs, plus my test rig and my extension looms. I've tested them against my proper multi-meter and the accuracy is good - 0.04 volts has been the biggest discrepancy. I install the meters at the edge connector. This gives a more accurate reading than at the PSU as there will be a voltage dropoff due to the resistance of the loom. - I bought the cheap jamma loom to rewire a cab but it was too flimsy for this purpose so ended up keeping the existing loom and replacing some of the wiring. The meter is just hot-glued to the connector in this case, I may make something more robust. I now know the voltage being supplied to all my boards and can use the same technique of reducing the PSU voltage, installing the board, then bringing the voltage up until the game runs correctly - if this is 4.7v then I leave it at that. If the game doesn't run correctly at 5v it goes on the test bench for further investigation. I'd go up to about 5.15v for large boards that I know have a voltage dropoff across the board, but no more (see next paragraph). As an aside I've also noticed since installing these meters that voltage tends to creep upwards as the PSU and PCB warm up, so its worth rechecking the voltage after about 10 minutes, especially if you're running above 5v. I've positioned the PSU's in my cabs so the PSU is easily accessible (and shielded the mains input voltages). I think everyone should do this, after all a 10 minute job with a £2 part is surely worth it to potentially save your £300 PCB? Concern has been raised about voltage ripple, using poor quality PSU's as bench test rigs, and wiring/connector voltage dropoffs - this was not the reason for this article but they are valid points. Ripple voltage is caused by insufficient smoothing of a voltage output, and can be caused by a poor quality PSU or failing components, usually capacitors. It results in a variance in the supply voltage above and below the indicated DC amount, which the cheap multimeters I have referred to previously will not pick up. 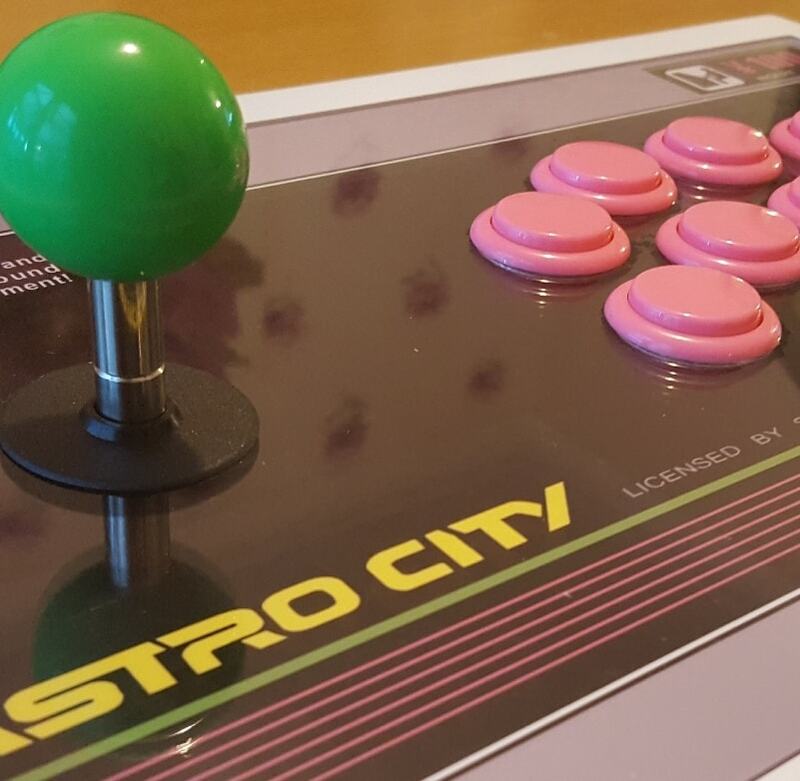 If anyone has more arcade-related information please share it. I've not looked into -5v timing or stability yet but have had no problems with PCBs using 4116 RAM - in the 20 years I've owned them. If people have examples please share them. With no load applied (ie nothing plugged in) some PSU's will output a high voltage, others will not start up at all. It's not likely that these PSU's are faulty, especially if you have been using them with no problems. The same procedure applies - set the voltage to its lowest, measure at the PCB, then raise the voltage until the game works correctly. Alternatively you can use a 'dummy load' - a resistor or bulb placed between 5v and Ground. Some PSU's may have voltage regulation on the 5v line - This is more common on newer PSU's and PC AT and ATX PSU's. I prefer a PSU with adjustable voltage due to some bad experiences in the early days with PC AT supplies dropping to ~4.7v. However more modern ones seem to have better power regulation. If you're using a regulated power supply then a meter is not really needed. This article is converned with those that do have a 5v adjustment, and all of those that i've come across do fluctuate depending on load. (If they didn't then there'd be not need to be able to adjust it). Incidentally some older games e.g. Juno First, Defender use RAM that requires -5v, other have sound amps that require -5v, some early eproms also require -5v. ATX PSU's dropped the -5v supply quite some time ago, so you cant use one to power these games without modification of the harness. Getting a cab without a -5v supply to run these boards is covered elsewhere. It is a good idea to measure the voltage dropoff across the wiring loom - measure at the PSU and at the connector. I had a cab with excessive dropoff (~0.35v) which I ended up rewiring. The cheap Jamma looms on ebay have very thin wires hidden behind very thick insulation. If you're going to use them its strongly advisable to replace the power wiring with a heavier gauge, or preferably not use them at all. Dropoff from socket to edge connector can be caused by dirty or oxidised parts of either, or sockets becoming worn or slack. Edge connectors can often be cleaned with a pencil rubber, isopropyl alcohol or just plain water. If oxidised then a weak acid can remove oxidation. This needs to be then cleaned off. Some people use abrasives but I would not recommend this. If the socket is worn and making bad contact then it is necessary to replace it. 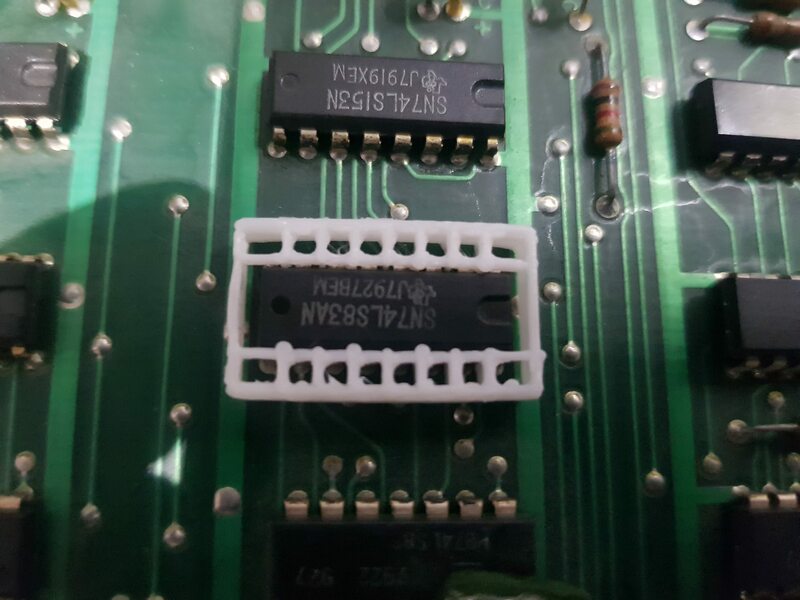 If youre swapping PCB's often I would recommend using a short extension or pass-through connector so save ware on the cab's socket. So there is more to making sure your cab is healthy that merely fitting a cheap multimeter, but it is a simple and useful tool to quickly check your voltage is correct. please alert me to any errors or inaccuracies, or any additional useful information that may be pertinent. Bravo! What a great and informative post. Thank you. Off to Ebay I go. They're a great idea these cheap voltmeters, I have a few of them myself. One thing you're missing though is that there will be a small (or possibly substantial) voltage drop from the edge connector to the PCB itself, you're measuring before that drop at the connector. PCBs with burnt or corroded PCB edge 'fingers' will drop a higher voltage, but your reading will still show the same. That may also explain part of the change you see as the PCB and connector contacts warm up and contact resistance changes. Of course it's much more of a pain to put a voltmeter on every PCB you own! And at least it's much better showing a reading at the cabinet connector than none at all. If you do solder one to the PCB itself, then the question becomes "where shall I solder it to?" If it's a multi stack PCB, which stack board? There will certainly be voltage drops across the stack. There's no easy answer here. 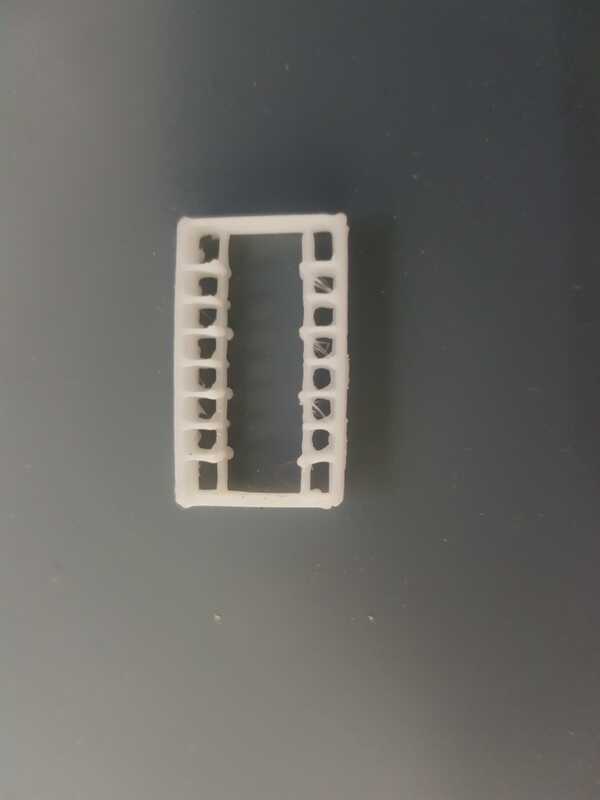 I usually go for about the middle at one edge of the PCB with the edge connector. I even considered making a bunch of adapters so it would be easy to piggyback such a voltmeter onto a 14 or 16 pin TTL chip footprint, but never got any further than thinking about it. Wherever you end up putting them, they're a good idea for £2. Boy, is this a machine! good point, hadn't thought of connector resistance, hadn't thought of adding a voltmeter to every pcb either - still worth it in the grand scheme of things. Dropoff on a pcb is certainly an issue but this is more about not frying something without realising it . I suppose you're doing what the PSU should be doing if it was good enough. Are they all that bad? What about the PC supplies? You could forgive them for struggling to regulate with nothing connected, but it's not good if they change by half a volt with load or over a period of time. I think sometimes there's a surge at power-on and the supply 'browns out' as it can't deliver the current. But the mistake is to jack up the voltage to overcome this as, once booted, it'll be over-voltaging the board . I think Midway boards are bad for surges. If arcade PSUs were anything like the quality of bench power supplies, there'd be sense wires that you could take to the JAMMA connector, so the supply could regulate around any voltage drop in the cables. 5V, 15A is a rather hefty output for many semi-affordable bench supplies though. What you can do (I have in one of my Jamma test rigs), is buy a 2nd hand ATX PSU from a server off ebay, do a bit of research and ensure it has sense wires, as quite a few of the server ones did. You then have a properly regulated 5v at the jamma connector. The only problem with this is the supplies have a very low -5v current, so you might have to use something like a buck boost converter, depending on your requirements. Nice - I'll look that up. For -5V, perhaps you could also get away with using an isolated DC/DC converter (12v:5v or 5V:5V, 1A+). Tie the 5V output to ground and use the 0V as a -5V. Lazy expensive-ish option, I suppose (compared to a buck converter). Your average jamma psu has no sense mechanism, just an adjustable 5v output - which I guess was fine for their original purpose of being set up once during the install and then left for months/years. Market competition probably drove down construction costs until you got something that was the cheapest way to put a game in an arcade. Ah, I have a few of those cheap meters, they're jolly handy. I found some for 99p (without case) although the only one I have used is actually hacked into the output of a 'buck' converter I stuck in my kids battery car. If you want nastiness try measuring the voltage difference between the top and bottom stack of a midway MCR2, bearing in mind the power has to go over the flaky ribbon connectors with tiny header pins or installing three meters on the pcbs to scare yourself. What chips have you had die through overvoltage, customs or RAMs perhaps? 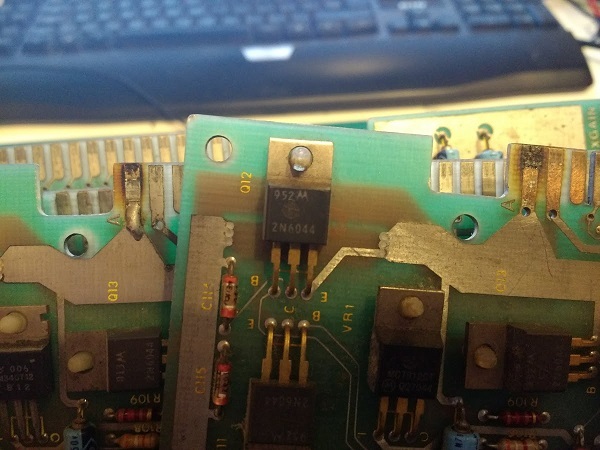 I thought the spec of 74 series says the 'absolute maximum rating' is 7volts so even if the boards not running I suppose the tops won't blow off all the chips instantly. I had a tempest dump 7 ish volts through the entire pcb for a while once. It didn't seem to kill anything, although perhaps the poor little chips lives were shortened. Been running voltmeters on my jamma connectors for a while now. FrancoB did another run of his passthru connectors with voltmeters just last week, if you can't be bothered soldering. If you need a beefy -5v supply, just wire up a second PSU in reverse, attach its 5v output to the ground of the primary supply, that way the ground of the second unit is then at -5v@15amps. I think that's the same as what I suggested - you're biasing the second power supply to -5V by tying it's 5V to the 0V of the main supply. I said DC/DC converter as they're usually isolated so you can float them like that. I don't know what arcade or PC PSUs are like - are they all floating, or is 0V tied to earth in some of them? If i remember correctly, the max voltage that ttl can accept is about 5.5v. The lowest is around 4.7v. so I would pitch the voltage around 5.2 personally with load. The more current the board takes the more volts will be 'lost' over the wiring harness so expect no-load to be higher. WANTED: Any Nichi stuff. Need a set of Legs!! This is something I've been working on (still just a prototype), I 3D printed a 'piggy back device' which sits on top of a 16 pin IC (I've also designed a 14 pin version) and picks up the voltage off pins 8 & 16 for an accurate reading at the chip. Another without pins has the volt meter attached to it and sits on top of another chip close by. It's designed so that the tiny 'legs' (see underside image below) are pushed between each IC leg and hold it firmly in place. The idea is that you can easily slip it over a chip at any location or layer on a PCB stack and monitor the voltage and remove or move it to another location within a few seconds. It has a low profile so you can have the pickup on a middle layer and sit the meter over a chip on the top layer and easily see what the voltage is. It can be left in place permanently or used to check voltages when installing a new PCB or power supply. Any suggestions for improvement are most welcome. I plan to redesign it to include the pin holders which are currently just hacked headers. Nice. A window to make sure you can see the chip direction / notch is probably a must I'd say. The problem is that this isn't really addressing the issue. 2) A power supply that regulates via some sort of current feedback, rather than one that has a proper feedback loop. If you have a Jamma cab where you often switch pcbs, then you don't want to use a cheap SMPS which has a naff regulation scheme based on current. 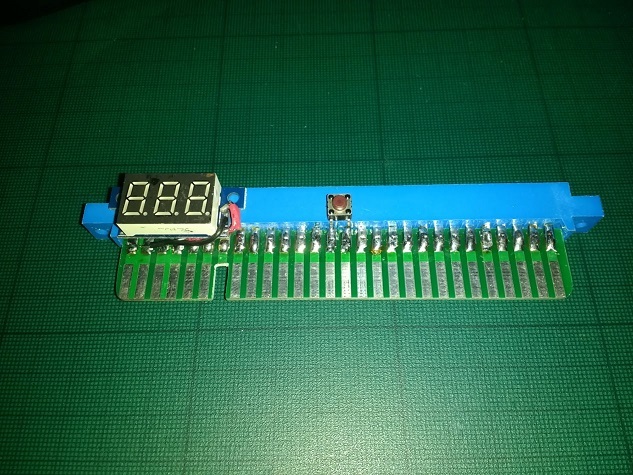 Another issue is that people will often say things like "I turn my PSU up to 5.1/5.2v for pcbs", without knowing the real voltage being applied to that PCB, the same goes for these LED voltmeters. The readings from these voltmeters and personal multimeters, are they RMS, true RMS, and what's the ripple voltage? If you apply 5.2v to a PCB, and you have a ripply voltage of say 300mV, then that's a great way to reduce the lifespan of your pcb. A properly regulated PSU, with a decent harness that has the capacity to carry the required amount of current, will have such a small resistance, that the voltage drop should be negligible. Ignore the no-load scenario, it's completely irrelevant. If you worry about it, put a 470ohm resistor or equivalant LED across your 5v and GND terminals, as a lot of common regulators will work with 10mA or so. My opinion would be, don't use (a cheap) SMPS for a decent test rig. Not only is the regulation pretty poor, but -5v regulation is so bad that it can have pretty nasty affects if you're connecting old PCBs that have CPUs/RAM/Eproms that use -5v, where they expect the -5v to applied first/removed last, and require stable voltages. 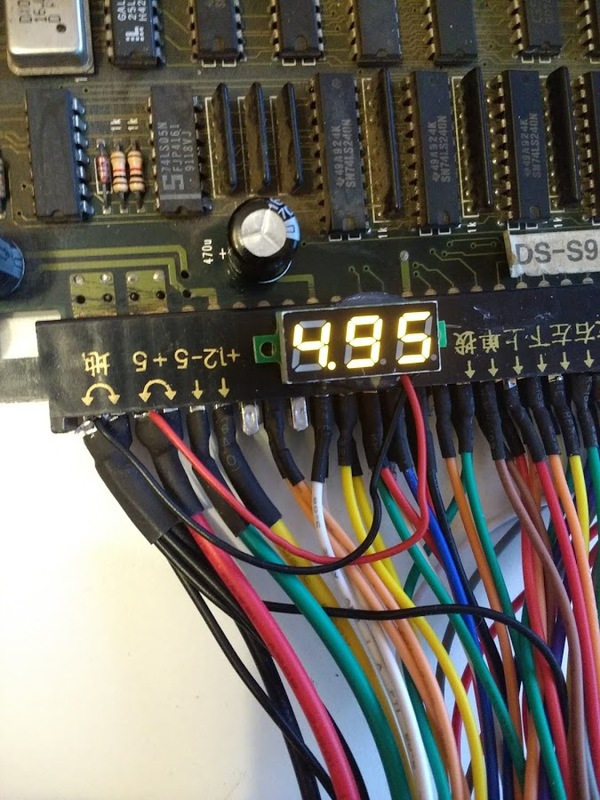 Besides, all the voltmeter is testing (god knows how accurate it really is, I'll assume it is) is the harness, it's not even taking into account the more frequent issue of edge connector voltage drop. Is it 'normal' for a new jamma PSU to be way out of range when you test it out of the box? Mine was reading more than double the 5 and 12v on those poles, and I had to dial it down to all the way to even get close. Even then I was at about 5.2 and 11.5 respectively. Also, is it essential to hook up the -5? I saw a YouTube video where a guy was saying not to bother and they can cause more harm than good. I'm new to this, so no idea if that was at all credible.